Mercedes-Benz of Boerne invites you to search our fantastic stock of used cars, trucks, and SUVs for sale in Boerne, TX. Our customer service specialists are standing by to help you find the next car of your dreams. You may also wish to check out our New Vehicles inventory. Don’t forget to ask about our Auto Financing program. From perfect credit to low credit, Mercedes-Benz of Boerne will work hard to get you the used car financing you need. If your new or pre-owned Mercedes-Benz needs a repair or routine check up, schedule service today. View our inventory online, visit for a test drive at 31445 Frontage Rd, Boerne, TX 78006, or call (844) 650-8056 today to know more. Mercedes-Benz of Boerne is honored to present a wonderful example of pure vehicle design... this 2014 Mercedes-Benz C-Class C 250 Sport only has 63,581mi on it and could potentially be the vehicle of your dreams! This vehicle is loaded with great features, plus it comes with the CARFAX BuyBack Guarantee. The Mercedes-Benz C-Class C 250 Sport is economically and environmentally smart. Mercedes-Benz clearly delivers on its promise to provide a fuel-efficient vehicle that has the great qualities you need in a vehicle. This low mileage Mercedes-Benz C-Class has barely been touched. It's the next best thing to buying new.Mercedes-Benz of Boerne is honored to present a wonderful example of pure vehicle design... this 2014 Mercedes-Benz C-Class C 250 Sport only has 63,581mi on it and could potentially be the vehicle of your dreams! This vehicle is loaded with great features, plus it comes with the CARFAX BuyBack Guarantee. The Mercedes-Benz C-Class C 250 Sport is economically and environmentally smart. Mercedes-Benz clearly delivers on its promise to provide a fuel-efficient vehicle that has the great qualities you need in a vehicle. This low mileage Mercedes-Benz C-Class has barely been touched. It's the next best thing to buying new. Mercedes-Benz of Boerne has a wide selection of exceptional pre-owned vehicles to choose from, including this 2013 Mercedes-Benz C-Class. Your buying risks are reduced thanks to a CARFAX BuyBack Guarantee. Everyone hates the gas pump. Skip a few gas stations with this super fuel efficient Mercedes-BenzC-Class. It's not often you find just the vehicle you are looking for AND with low mileage. This is your chance to take home a gently used and barely driven Mercedes-Benz C-Class.Mercedes-Benz of Boerne has a wide selection of exceptional pre-owned vehicles to choose from, including this 2013 Mercedes-Benz C-Class. Your buying risks are reduced thanks to a CARFAX BuyBack Guarantee. Everyone hates the gas pump. Skip a few gas stations with this super fuel efficient Mercedes-BenzC-Class. It's not often you find just the vehicle you are looking for AND with low mileage. This is your chance to take home a gently used and barely driven Mercedes-Benz C-Class. This outstanding example of a 2014 Mercedes-Benz C-Class C 250 Sport is offered by Mercedes-Benz of Boerne. Your buying risks are reduced thanks to a CARFAX BuyBack Guarantee. The less money you spend at the pump, the more money you'll have to spend on you. So why not consider this wonderfully styled, fuel-efficient Mercedes-Benz C-Class. This vehicle has extremely low mileage on the odometer, so while it's pre-owned, it's practically new.This outstanding example of a 2014 Mercedes-Benz C-Class C 250 Sport is offered by Mercedes-Benz of Boerne. Your buying risks are reduced thanks to a CARFAX BuyBack Guarantee. The less money you spend at the pump, the more money you'll have to spend on you. So why not consider this wonderfully styled, fuel-efficient Mercedes-Benz C-Class. This vehicle has extremely low mileage on the odometer, so while it's pre-owned, it's practically new. 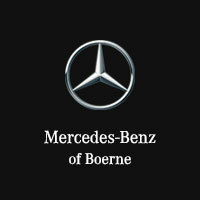 Thank you for your interest in one of Mercedes-Benz of Boerne's online offerings. Please continue for more information regarding this 2014 Mercedes-Benz M-Class ML 350 with 73,144mi. When you purchase a vehicle with the CARFAX Buyback Guarantee, you're getting what you paid for. This vehicle has met all the exacting standards to be classified Certified Pre-Owned. On almost any road condition, this Mercedes-Benz M-Class ML 350 offers solid performance, reliability, and comfort. This Mercedes-Benz M-Class ML 350 is for the discerning driver who demands the utmost of his vehicle.Thank you for your interest in one of Mercedes-Benz of Boerne's online offerings. Please continue for more information regarding this 2014 Mercedes-Benz M-Class ML 350 with 73,144mi. When you purchase a vehicle with the CARFAX Buyback Guarantee, you're getting what you paid for. This vehicle has met all the exacting standards to be classified Certified Pre-Owned. On almost any road condition, this Mercedes-Benz M-Class ML 350 offers solid performance, reliability, and comfort. This Mercedes-Benz M-Class ML 350 is for the discerning driver who demands the utmost of his vehicle. Thank you for your interest in one of Mercedes-Benz of Boerne's online offerings. Please continue for more information regarding this 2009 Mercedes-Benz SL-Class V8 with 65,471mi. When you purchase a vehicle with the CARFAX Buyback Guarantee, you're getting what you paid for. This sporty Mercedes-Benz SL-Class convertible leads the class in performance and refinement. You deserve a vehicle designed for higher expectations. This Mercedes-Benz SL-Class delivers with a luxurious, well-appointed interior and world-class engineering. In addition to being well-cared for, this Mercedes-Benz SL-Class has very low mileage making it a rare find.Thank you for your interest in one of Mercedes-Benz of Boerne's online offerings. Please continue for more information regarding this 2009 Mercedes-Benz SL-Class V8 with 65,471mi. When you purchase a vehicle with the CARFAX Buyback Guarantee, you're getting what you paid for. This sporty Mercedes-Benz SL-Class convertible leads the class in performance and refinement. You deserve a vehicle designed for higher expectations. This Mercedes-Benz SL-Class delivers with a luxurious, well-appointed interior and world-class engineering. In addition to being well-cared for, this Mercedes-Benz SL-Class has very low mileage making it a rare find. Mercedes-Benz of Boerne is excited to offer this 2017 Mercedes-Benz GLA. Your buying risks are reduced thanks to a CARFAX BuyBack Guarantee. This Mercedes-Benz GLA GLA 250 defines excellence in an SUV. It has the convenience of limitless boundaries paired with city sophistication. The 2017 Mercedes-Benz offers compelling fuel-efficiency along with great value. You will no longer feel the need to repeatedly fill up this Mercedes-Benz GLA GLA 250's gas tank, in part because of it's superb EPA rating.Mercedes-Benz of Boerne is excited to offer this 2017 Mercedes-Benz GLA. Your buying risks are reduced thanks to a CARFAX BuyBack Guarantee. This Mercedes-Benz GLA GLA 250 defines excellence in an SUV. It has the convenience of limitless boundaries paired with city sophistication. The 2017 Mercedes-Benz offers compelling fuel-efficiency along with great value. You will no longer feel the need to repeatedly fill up this Mercedes-Benz GLA GLA 250's gas tank, in part because of it's superb EPA rating. This outstanding example of a 2016 Mercedes-Benz CLA CLA 250 is offered by Mercedes-Benz of Boerne. Your buying risks are reduced thanks to a CARFAX BuyBack Guarantee. The Mercedes-Benz CLA CLA 250 is economically and environmentally smart. Mercedes-Benz clearly delivers on its promise to provide a fuel-efficient vehicle that has the great qualities you need in a vehicle. It's not a misprint. And the odometer isn't broken. This is a very low mileage Mercedes-Benz CLA. A rare find these days.This outstanding example of a 2016 Mercedes-Benz CLA CLA 250 is offered by Mercedes-Benz of Boerne. Your buying risks are reduced thanks to a CARFAX BuyBack Guarantee. The Mercedes-Benz CLA CLA 250 is economically and environmentally smart. Mercedes-Benz clearly delivers on its promise to provide a fuel-efficient vehicle that has the great qualities you need in a vehicle. It's not a misprint. And the odometer isn't broken. This is a very low mileage Mercedes-Benz CLA. A rare find these days. This 2013 Mercedes-Benz S-Class S 550 is proudly offered by Mercedes-Benz of Boerne This vehicle is loaded with great features, plus it comes with the CARFAX BuyBack Guarantee. Indulge yourself with one of the most highly crafted, most luxurious automobiles available today. Take home this 2013 Mercedes-Benz S-Class and enjoy the safety and added performance of AWD.This 2013 Mercedes-Benz S-Class S 550 is proudly offered by Mercedes-Benz of Boerne This vehicle is loaded with great features, plus it comes with the CARFAX BuyBack Guarantee. Indulge yourself with one of the most highly crafted, most luxurious automobiles available today. Take home this 2013 Mercedes-Benz S-Class and enjoy the safety and added performance of AWD. Thank you for your interest in one of Mercedes-Benz of Boerne's online offerings. Please continue for more information regarding this 2016 Mercedes-Benz GLA GLA 250 with 34,040mi. This vehicle is loaded with great features, plus it comes with the CARFAX BuyBack Guarantee. This SUV is a great example of beauty and brawn with classic styling and a workhorse power plant. The less money you spend at the pump, the more money you'll have to spend on you. So why not consider this wonderfully styled, fuel-efficient Mercedes-Benz GLA. One of the best things about this Mercedes-Benz GLA is that it has low, low mileage. It's ready for you to truly break it in.Thank you for your interest in one of Mercedes-Benz of Boerne's online offerings. Please continue for more information regarding this 2016 Mercedes-Benz GLA GLA 250 with 34,040mi. This vehicle is loaded with great features, plus it comes with the CARFAX BuyBack Guarantee. This SUV is a great example of beauty and brawn with classic styling and a workhorse power plant. The less money you spend at the pump, the more money you'll have to spend on you. So why not consider this wonderfully styled, fuel-efficient Mercedes-Benz GLA. One of the best things about this Mercedes-Benz GLA is that it has low, low mileage. It's ready for you to truly break it in. Contact Mercedes-Benz of Boerne today for information on dozens of vehicles like this 2016 Mercedes-Benz GLA GLA 250. This 2016 Mercedes-Benz GLA comes with a CARFAX Buyback Guarantee, which means you can buy with certainty. With this exceptional SUV, you'll get sport, utility, and comfort. Why spend more money than you have to? This Mercedes-Benz GLA will help you keep the extra money you'd normally spend on gas. The incredibly low mileage and painstaking upkeep on this Mercedes-Benz GLA makes it a once-in-a-lifetime deal that won't last long! Call us today to reserve your test drive!Contact Mercedes-Benz of Boerne today for information on dozens of vehicles like this 2016 Mercedes-Benz GLA GLA 250. This 2016 Mercedes-Benz GLA comes with a CARFAX Buyback Guarantee, which means you can buy with certainty. With this exceptional SUV, you'll get sport, utility, and comfort. Why spend more money than you have to? This Mercedes-Benz GLA will help you keep the extra money you'd normally spend on gas. The incredibly low mileage and painstaking upkeep on this Mercedes-Benz GLA makes it a once-in-a-lifetime deal that won't last long! Call us today to reserve your test drive! Mercedes-Benz of Boerne has a wide selection of exceptional pre-owned vehicles to choose from, including this 2014 Mercedes-Benz E-Class. Your buying risks are reduced thanks to a CARFAX BuyBack Guarantee. You deserve a vehicle designed for higher expectations. This Mercedes-Benz E-Class delivers with a luxurious, well-appointed interior and world-class engineering. Enjoy driving? Well now you will get more thrills behind the wheel thanks to the heightened performance of AWD. Better handling. Better traction. Better driving experience. The E-Class E 350 has been lightly driven and there is little to no wear and tear on this vehicle. The care taken on this gently used vehicle is reflective of the 27,563mi put on this Mercedes-Benz.Mercedes-Benz of Boerne has a wide selection of exceptional pre-owned vehicles to choose from, including this 2014 Mercedes-Benz E-Class. Your buying risks are reduced thanks to a CARFAX BuyBack Guarantee. You deserve a vehicle designed for higher expectations. This Mercedes-Benz E-Class delivers with a luxurious, well-appointed interior and world-class engineering. Enjoy driving? Well now you will get more thrills behind the wheel thanks to the heightened performance of AWD. Better handling. Better traction. Better driving experience. The E-Class E 350 has been lightly driven and there is little to no wear and tear on this vehicle. The care taken on this gently used vehicle is reflective of the 27,563mi put on this Mercedes-Benz.